Be a permanent part of the Burley landscape and support the Burley Community Park! 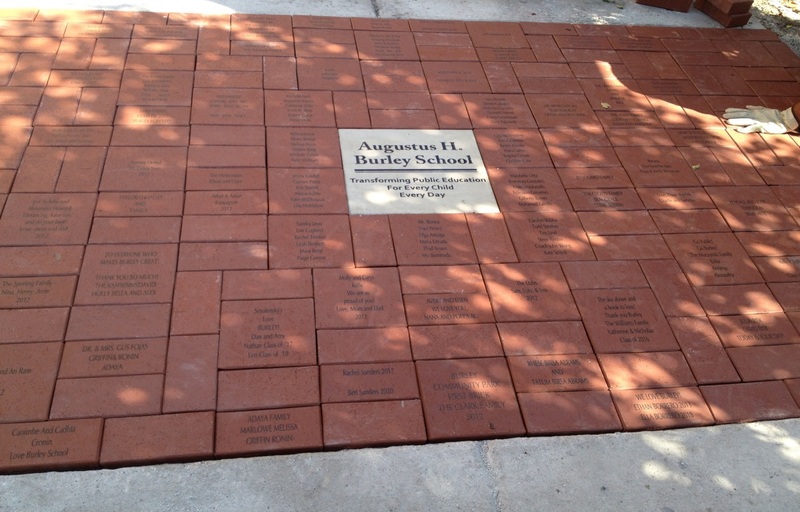 Your family member, Burley graduate or business will always be remembered through our brick campaign. Bricks will be installed by the school's front entrance. Checks can be dropped off at the Burley front office after downloading the order form or purchased online (below). For additional questions on the brick campaign or general inquires about our Community Park legacy program, please contact Katie Hall-Jasinski. Brick Size: 4" x 8"
Proudly display a personal message or family name with decorative bricks to be added to our installation in front of the school at the main east entrance. Brick Size: 8" x 8"